/Notifications & Email /What Does the Number on the Browser Tab Tell Me About Mangoapps? 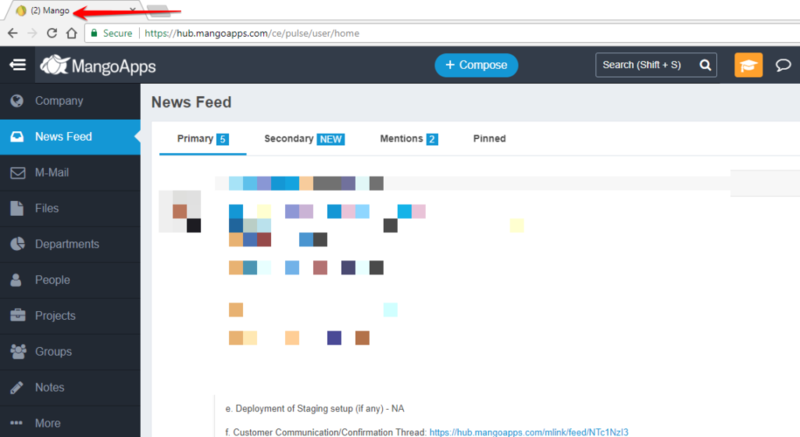 The number that sometimes appears on the browser tab shows the number of messages that have been added to your MangoApps feed since you first started viewing the current page. This number is different than the number of total unread messages that you have.